SoftPlanet makes it possible for everyone to get free Need for Speed World Online download directly from our servers. There is no registration needed for downloading. EA Games doesn't stop amazing the world. The next innovation of one of the biggest game factories is called Need For Speed World. This game project is nothing, you have seen before from Electronic Arts Inc. 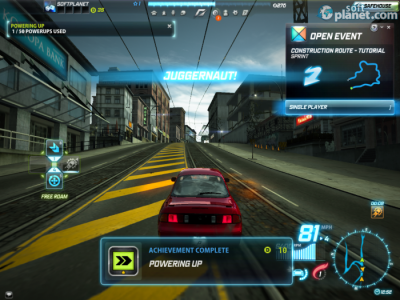 Need For Speed World enables you to race against other racer online. Besides that you can actually explore the world of NFS with other players around the globe. Basically, it combines the biggest advantages of MMORPG games with the unbelievable gameplay of the best racing series, Need For Speed. Unlike other games from the popular game series, Need For Speed World can be played online only, which is not that bad actually. Thus you will get unique gaming experience each time you run the game. Isn't this what each player wants? The game offers a proper number of cars, which can be unlocked during your gameplay. 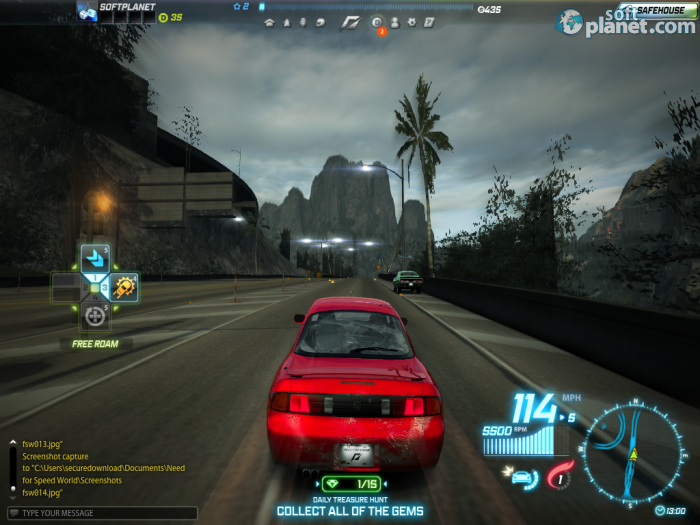 Need For Speed World is really awesome and offers unusual gaming experience, but there are still some problems about it. First, the fact that you play online and players around the world have different Internet connections, means that there will be lag. Sometimes it can really kill the fun. Another thing about Need For Speed World, which bothers us is the proper number of hackers online. Don't be surprised if another racer just fly around. Besides this two things, Need For Speed World really feels great. Basically, you can play 24/7 and you want feel bored at all. An interesting thing about this game is the power-ups, which provides you with Nitrous, Shield, etc. Some of them affects your rivals i.e. Traffic Magnet. After each race, you earn experience and can choose a Reward card too. Generally, Need For Speed World is something new, something game society has never seen before. Regarding car control, it has been made for kids. It is almost impossible to lose control over your street racing beast, even in high speed corners. If you hit Hand brake, you will definitely lose the race. The game offers great graphics. The cars look real. If you choose a Medium or High level of details, there will be smoke from your tires. If you race daytime against the sun, it will shine in your eyes like it is in real life. If you hit the car you will see some cracks on your windows, which will remind you to drive more carefully and contactless, which means more speed. Need For Speed World offers nice music and very realistic sounds. You can really hear when you accelerate, brake, turn, etc. Music contributes for your overall gaming experience. Some tracks can really motive you to step hard on the throttle. Need For Speed World is a really amazing game. It might have some downsides, but since this is the first attempt of EA Games for creating such an online racing simulator, we can only say “Nice job, EA!”. 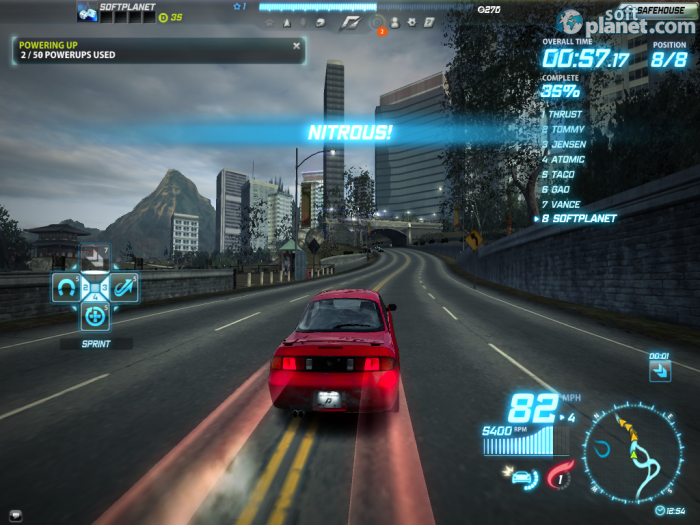 The game offers different gaming experience, which you cannot get from any other street race simulator on the market. Besides that it is completely free of charge. Of course, you can buy some stuff in order to sweep on. Please do not hesitate to dive in the world of Need For Speed World right away. 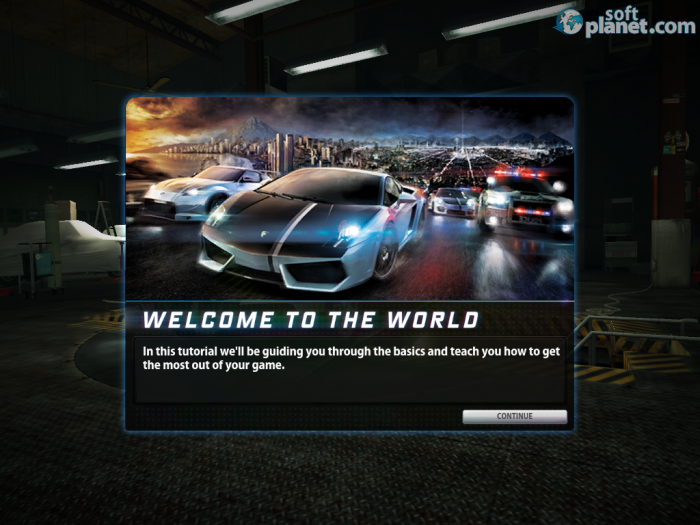 Need for Speed World Online is VIRUS-FREE! 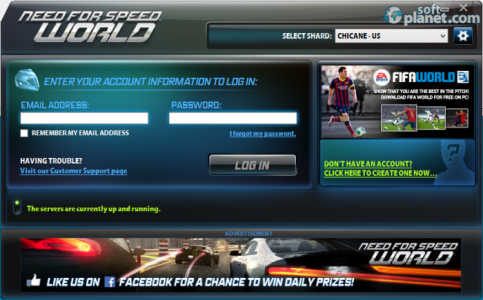 Our security scan shows that Need for Speed World Online is clean from viruses. The current version of Need for Speed World Online has been scanned by our system, which contains 46 different anti-virus algorithms. That ensures that Need for Speed World Online 1.8.40.1599 is 100% safe for your computer.